This is the extended version of my 1-minute video "Ground Zero - WTC 2001/2011" - In A Bklyn Minute (Week 72). 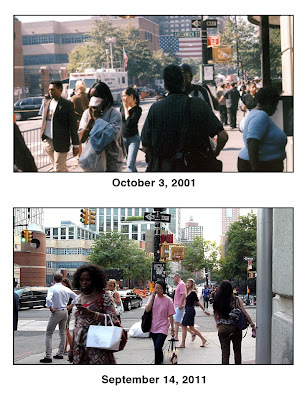 Photos (2001) and video (2011) from around Ground Zero (World Trade Center / WTC) taken on October 3rd, 2001 and at the same locations on September 14th, 2011 - 10 years later. More information can be found on the blog post about the original video.